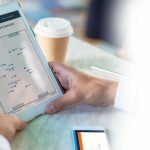 Laserfiche, a leading provider of enterprise content management and business process automation solutions, was named a Challenger in the Gartner Magic Quadrant for Content Services Platforms1. As one of 19 vendors evaluated, Laserfiche moved into the Challengers quadrant this year and was recognized based on its completeness of vision and ability to execute. The Gartner report is an evolution of the Gartner Magic Quadrant for Enterprise Content Management, which recognized Laserfiche for eight consecutive years. 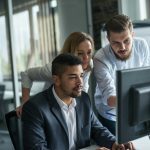 In the newly defined content services platforms market, Laserfiche offers a product suite of innovative content services that enables digital transformation with analytics, workflow automation, records management and audit trail capabilities. To learn more about how Laserfiche enables a digital business, download a complimentary copy of the 2017 Gartner Magic Quadrant for Content Services Platforms here. 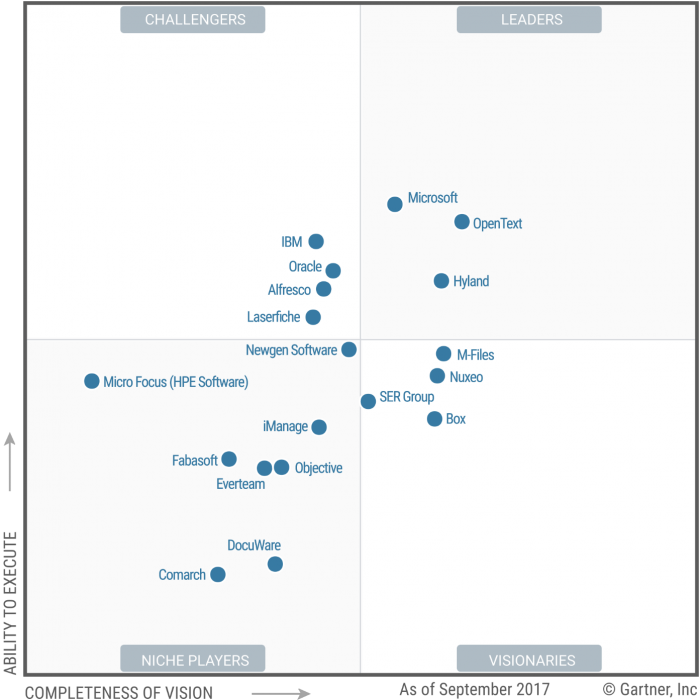 1Gartner, Inc., Magic Quadrant for Content Services Platforms, Karen A. Hobert, Michael Woodbridge, Joe Mariano, Gavin Tay, October 5, 2017.